We have two great classes for adults to attend. In the auditorium is Jon Pinter’s class and in the Sunday School wing is Tim Stenson’s class. The classes are engaging, thought-provoking, and encouraging. Both teachers are well prepared and are eager to teach and study God’s Word to help those who attend engage in the culture around them at their work places and in various spheres of influence with one goal in mind – reaching people with the Gospel of Jesus Christ! Come join them on Sunday mornings! We have both a Jr. High and Sr. High teen Sunday School class. The Jr. High class (7th-8th) is taught be Mr. Justin Beck. 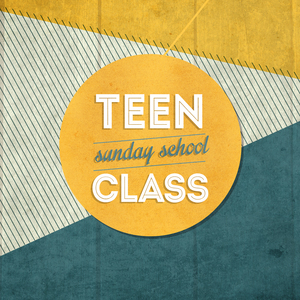 The Sr. High class (9th-12th) is taught by our youth pastor, Donald Helman. Both classes meet in the new Sunday School wing of our church.